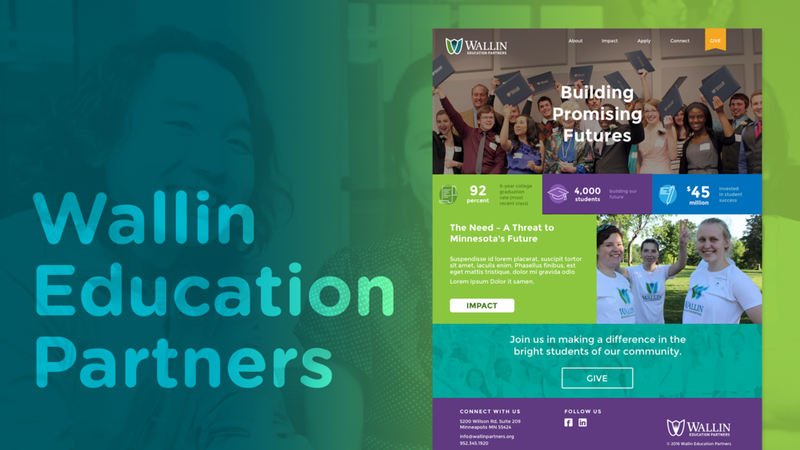 Wallin Education Partners wanted to their students to have an easier way to apply for scholarships and interact with their organization. This lead to our team designing a new, more approachable, and colorful site for Wallin. Our goal was to design a new experience that was easy to use and lead students to ultimately apply for their scholarships in the Fall of each year. Visually, we pulled a lot from the wonderful bank of imagery Wallin had accumulated over the many years. We brought forth a lot of photos of the students and mentors and focused on the wide array of students who received scholarships. This visual story matched the diverse community the organization served.